LASIK costs around $3,300 per eye depending on individual circumstances, however, at the New Vision Advanced Laser Centre our price for Laser eye surgery with TEMLA is only $2,950 per eye. We provide better value because of our state of the art Pulzar 213 laser lowers our overheads but provides the same great quality outcome for your vision correction surgery. For your convenience we also provide an interest free financing solution. Although laser vision correction is not cosmetic surgery (it deals with a functional problem) there are no Medicare rebates. The HBF Ultimate Hospital and Extras Cover provides a full rebate for TEMLA laser eye surgery in Perth, along with a rebate for some other refractive eye surgery procedures. It seems that currently this is the best health insurance cover as few other Health Funds will cover the full cost, they may only provide a partial rebate. You may be able to claim a refund on your tax return, depending on your total health expenditure for the year. Refractive eye surgery is a generic term describing procedures that aim to reduce the eye’s refractive error. The commonest condition treated is myopia (short sightedness) where the light is not focused on the retina directly, but in in front of the retina producing a blurred image. Hypermetropia (or hyperopia) is where the focus is behind the retina. With astigmatism there are two foci instead of a single point. Our preferred refractive laser surgery approach is TEMLA. There is no universally standard method for laser vision correction surgery, but at New Vision we want to provide you the most effective refractive surgery option with the least risk. Eye correction surgery is another broad term for refractive surgery. Surgery to correct vision encompasses many forms of laser refractive surgery such as TEMLA, LASIK, and PRK, along with other procedures such as artificial lens insertion using an implantable contact lens, or refractive lens exchange. The purpose of eye correction surgery is to improve the way light is focused onto the retina to provide better unaided visual acuity. Many different lasers are used in eye surgery to achieve different objectives. One way to correct refractive error is a surgical procedure that uses a high energy ultraviolet laser to re-shape the corneal curvature (laser refractive surgery). For those with myopia (short-sighted) the corneal curvature is flattened. With corrections for hypermetropia (hyperopia, or long-sightedness) the corneal curvature is steepened. Refractive laser surgery uses a high energy ultra-violet laser to correct your vision error by removing microns of tissue from the stromal layer of the cornea to change the corneal curvature. The laser reshapes the cornea to produce a curvature according to your eye prescription needs. All you do is focus on a light and a computer tracks your fine eye movements to ensure precision. The laser can correct short sightedness (up to 7 dioptres or so), long sightedness (up to 3 dioptres or so) and astigmatism (up to 4 dioptres or so). Trans-Epithelial Minimal Laser Ablation is a laser refractive surgery for vision correction. The advanced Pulzar 213 solid state refractive laser uses a flying spot ablation to reshape the cornea with precision tracking technology. Tens of thousands of spots vaporise fractions of microns of corneal tissue to a precise shape. The same laser gently removes the epithelium (the ‘skin’ of the eye) and also re-shapes the corneal stroma in a ‘one-step’ process. TEMLA vision correction surgery can treat myopia (up to about 7 dioptres), hypermetropia (up to about 3 dioptres), and astigmatism (up to about 4 dioptres). No separate cutting blade or flap laser is required, no suction device is used (no flap!). TEMLA laser vision correction is a gentle, low impact and safe procedure for those suitable. Both LASIK and TEMLA vision correction surgery are suitable alternatives to visual aids (such as glasses and contact lenses) for people with refractive conditions such as long or short sightedness. The advantage of no flap TEMLA is that it is suitable for more people, and those who may be unsuitable for LASIK. TEMLA does not use blades, mechanical or laser flap cutters, suction devices, making it a safer, low risk, gentler approach. TEMLA achieves all the benefits of laser vision correction whilst providing better value with lower risk and cost. When looking for a Perth laser eye clinic and selecting a laser eye surgeon, look for a centre with a good reputation for patient satisfaction and an experienced laser surgeon. At New Vision we want to provide you the most effective surgical option with the least risk. Our experienced laser eye surgeon will be able to suggest the most appropriate vision correction solution ‘tailored’ to your circumstance. 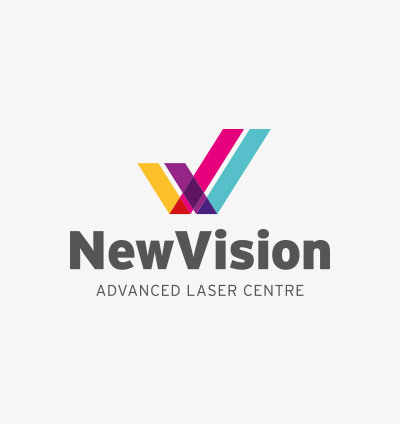 New Vision Laser Clinic uses the advanced technology and has state of the art equipment, providing the latest procedure – TEMLA corrective laser eye surgery. With this you can have the lowest risk, personalised laser eye surgery procedure for the best value. Our experienced staff and well regarded eye surgeon are an excellent choice for your care with surgical eyesight correction. By eliminating redundant technology we have reduced overhead costs and have better value eye laser surgery whilst facilitating the same great outcome for you. Contact us for a comprehensive specialist assessment, any questions or to make an appointment to let us know of your requirements. With our preferred procedure TEMLA, we only remove the smallest fraction of tissue with the laser surgery ablation, we don’t cut into the eye to create a flap. This lowers the risk of long term problems and is particularly suitable for the Police, Armed services, and other occupations and sports with demanding physical roles. The safest, less invasive, and gentle. The TEMLA procedure uses no suction, no blade, has no flap complications, and is safer in the event of a blow to the eye. TEMLA treats with a minimal corneal ablation and an programmed blend zone which affects the peripheral vision less, reducing problems with glare and blurring when your pupil enlarges in low light at dusk and night. Our Solid State technology avoids the need for toxic gases and there is less degradation of the laser optics reducing the need of constant maintenance. So we can achieve predictable and safe results at a lower cost for you. Most people don’t really want to wear glasses, and without them you will feel free to participate in sports, hobbies or activities that you may have avoided in the past. Contact lenses may not provide enough comfort or convenience for you, which limits their use. Activities such as swimming, running, gym, surfing, football and contact sports all become easier without your visual aids. If you have an active working life, “it is a pain” having to put up with glasses falling or sliding off your face, steaming up, always dusty, getting scratched, or never having the right focus. If you work in an industry that requires safety wear or a respirator, being free of glasses enables you to wear the normal gear, Laser eye surgery will help you achieve this goal. You can wear whatever style of sunglasses you want. The wrap arounds for cycling, or the latest fashion from Italy, the choice would be yours! If you have previously worn contact lenses, or upgraded your spectacles regularly, you will be aware of just how expensive glasses or contact lenses can be! The best way to find out if you are suitable, is to book a comprehensive suitability assessment with our laser eye surgeon. This will take 30 to 40 minutes, during this appointment we will take measurements and check for any medical conditions that may preclude you from refractive surgery. Most importantly, we will have a better understanding of your refractive surgery, which allows us to determine your safest and best option, which could be either laser surgery, lens implants or other solutions. Generally there is a solution for most people, depending on your particular needs. we will recommend the best treatment for you. We will book you for laser eye surgery as soon as you wish, there is no waiting involved. We do procedures every week, so we should be able to find a time to suit. In our New Vision Advance Laser Eye Clinic Located at 420 Roberts Road in Subiaco. The Laser part of the eye procedure only takes a few minutes. The whole procedure is over within half an hour. When you arrive one of our qualified staff will go over the operation instructions with you and give you a mild sedative, and numbing drops. The laser eye surgery procedure takes place in the climate controlled Laser theatre. Afterwards we go over instructions on what to do next and arrange the followup appointments. You should allow about 90 minutes in all for that day for the laser eye surgery in Perth. We take you into the Laser theatre where you will lie down on the bunk. Once we move you in under the Laser we align you looking up at the red fixation point of light. We give you numbing drops again, and also just before beginning the Laser ablation. Your eyelids are washed with antiseptic, and sterile sticky plastic drapes are applied to the eyelids. You do not have to worry about blinking because we place a speculum to to hold the lids apart. Once we have checked the alignment, locked in the Laser tracker, we fireup the Laser. You’ll hear a buzzing noise, might smell the ablation fumes, and notice that we wash the eye a few times during the procedure. After a few minutes the Laser has completed the ablation then we place a Bandage Contact Lens, remove the drapes, give you some antibiotic and anti inflammatory drops, and the laser eye surgery procedure is done! As you are undergoing a surgical procedure, you will qualify for sick leave. Depending on what laser eye surgery procedure you have, will may need to be off work from two to seven days. No, the sedation used for your laser eye surgery will make you some what relaxed and sleepy. Here at New Vision, we recommend that you do arrange transportation on the day of the procedure and possibly for the first week after the refractive surgery, for your safety. We aim to provide you with unaided vision legal for driving after you recover from the Laser Vision Correction. Yes, the Laser Vision Correction is permanent, however, it will not protect against the natural ageing process of the eye. We aim to make our patients independent or substantially independent from visual aids, so you would no longer need glasses or contact lenses for most of your everyday needs. There are always small risks associated with any surgery or laser procedure. Serious complications are rare in surface ablation treatments such as TEMLA, and for the vast majority of patients who adhere to the instructions after the procedure, there are very few problems. We aim to provide you with the most suitable procedure that has the least risk of problems. Potential problems which do improve over time are: Poor vision not corrected with glasses or contact lenses, from a severe eye infection for example; variable vision, often due to dry eyes; haloes, glare, and starbursts with lights at night; difficulty with reading vision. Everybody is different , but when we meet with you we will discuss all the issues relevant to you, so that you can make a fully informed decision about whats best for you and your eyes.